One of the bathrooms in this house had only a bathtub with a half wall for the bathtub plumbing. The home owner wanted a more useful space, so she asked us to install glass blocks to create a full wall for a shower surround. 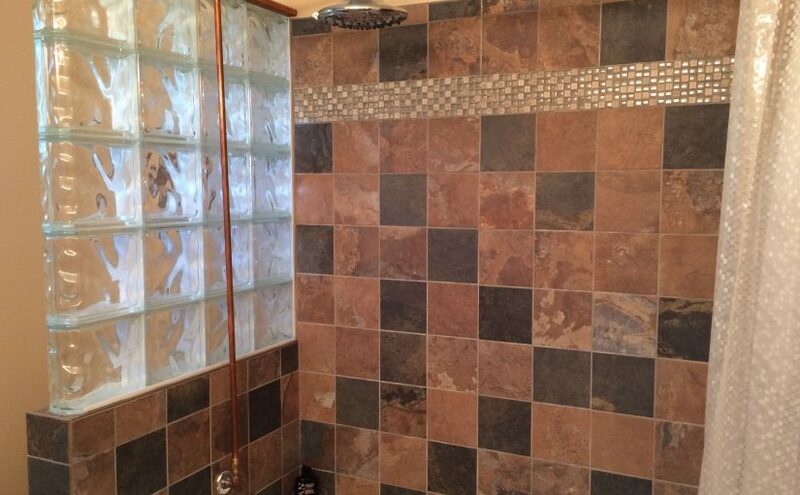 The glass blocks give more light to the shower area, as well as compliment the look in the rest of the bathroom. Since we couldn’t put the plumbing into the glass blocks, we used copper piping to plumb the shower head. We looked for something store bought that would work for this application but could not find anything, even at the specialty plumbing stores. So we got creative and made it ourselves. The best part is that the copper is going to be chromed to match the fixtures and that the place to do it is none other than the Harley Davidson dealership! With not too much work, new tile, and a glass wall, the result is a much more functional space that is really aesthetically pleasing. Something to think about for your next project! 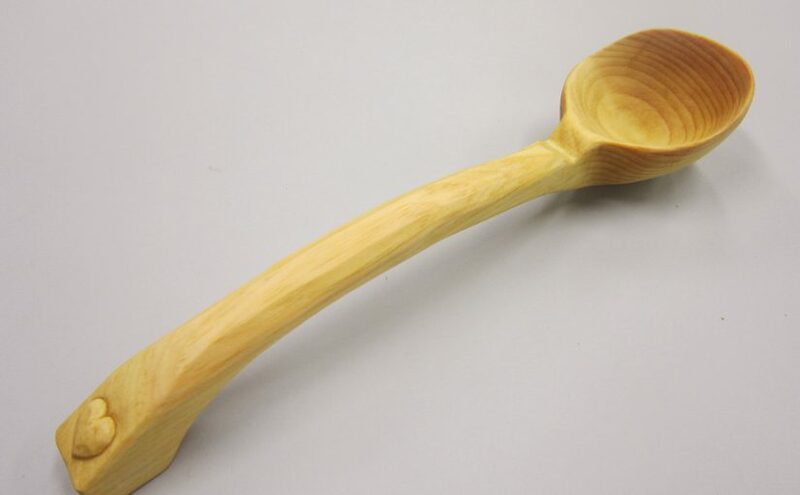 In my last blog post I talked about my kids carving this spoon for their mom. Here is the finished project. The wood is pine and was an easy wood for the kids to learn how to carve with. The spoon now has a permenent home on the back of the stove for all of us to look at every time we cook! I loved how the kids’ imaginations worked while carving the spoon. It was my daughter’s idea to carve the heart into the spoon, and it was my son’s idea to carve the small notch just above the bowl. These are things I wouldn’t have even thought about doing, so I am glad that the kids got creative! I want to thank Doug Pauls of Rocky Mountain Alphorns – he was the one that gave me the spoon blank and spurred the idea. Here is a youtube video you can watch of his journey into carving! Watching this makes teaching my kids how to carve that much more special.